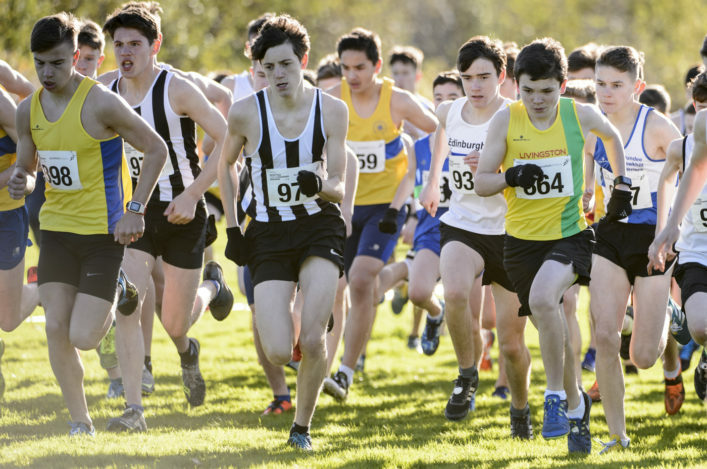 Over the past seven years, in addition to great success by athletes in various disciplines, there’s been significant progress off the track in Scotland with huge growth in club membership and the implementation of extremely successful club development projects. Club Together, Club 20:20 and the scottishathletics Club Leaders’ Academy have proved fruitful and, with the pending introduction of our ClubServe system in the coming months and clubs now employing their own staff, our offering to clubs is continuing to expand. 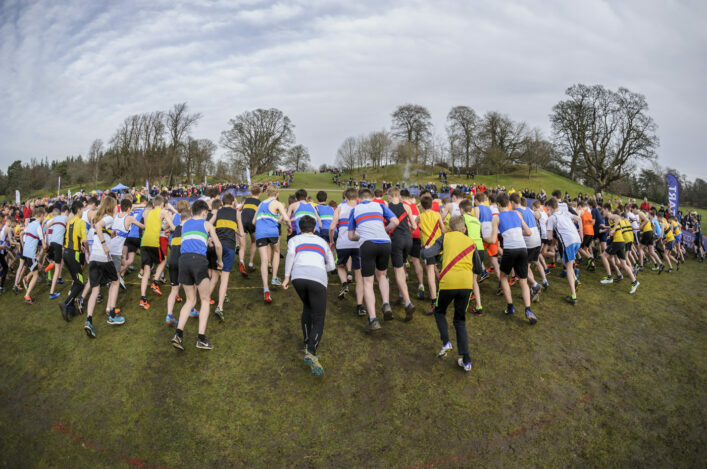 As outlined in our current strategy, ‘Perform When It Counts’, clubs are at the heart of athletics in Scotland and we aspire to provide support and services to our clubs that helps them to realise their potential. It is critical, as the governing body, that our offering continues to evolve to deliver value to all our clubs, regardless of size and location, and help them to achieve their objectives. 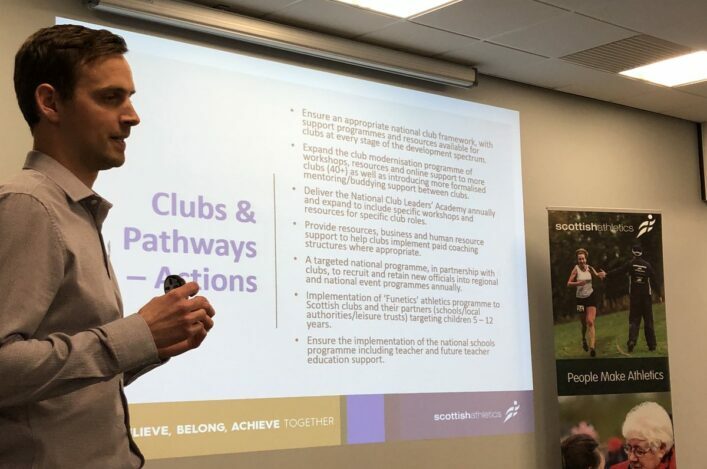 Whether a club has 20 members who only wish to compete in local competitions or 600+ members with athletes competing in the Olympics, scottishathletics need to be able to support their ambitions and provide a service that can benefit them all. 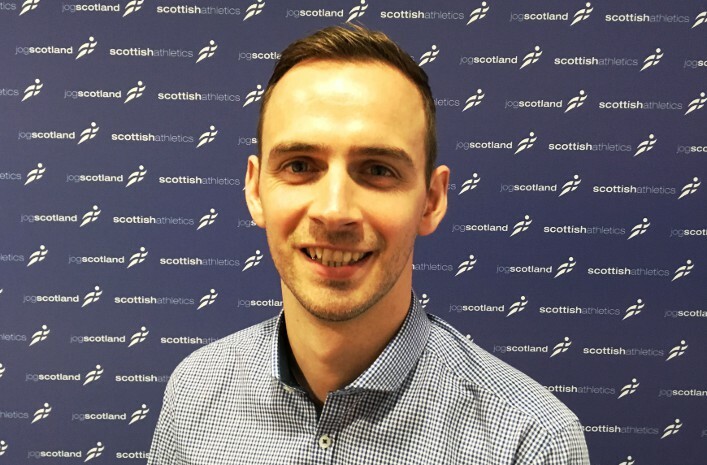 ‘In the past six months, the Development Team have been reviewing the support we offer to clubs and the way in which we deliver support and services, to identify gaps in our offering, areas for further improvement and ways that we can be more effective and efficient in our delivery,’ said Colin Hutchison, scottishathletics Head of Development. ‘To this end, we are now developing a new club pathway which sets out for clubs a four-stage continuum for their development in a similar way to how a pathway works for athletes, coaches and officials. ‘This continuum recognises that not all clubs will want to progress along the continuum and therefore the staffing structure outlined below to support clubs is designed to help those clubs to meet their objectives at the stage of the continuum they feel is most appropriate for their club. ‘The continuum and staffing structure outlined will ensure there remains flexibility within the structure to adjust our support and services as required and for clubs to move between stages as appropriate. ‘To shape and deliver the support and services required at each of the four stages of the continuum we will be allocating a member of the Development Team to lead on each stage. ‘This will enable the Development Team member responsible for each stage to liaise closely with the clubs and to understand the challenges and ambitions of those clubs, to deliver appropriate and targeted support and services, and to create a network of clubs at each stage of the pathway, enabling peer support and sharing of good practice. Full details on the club continuum will be communicated to all member clubs in August. For clubs that are already part of Club Together and Club Modernisation this means you will continue to receive direct support from a National Club Manager. 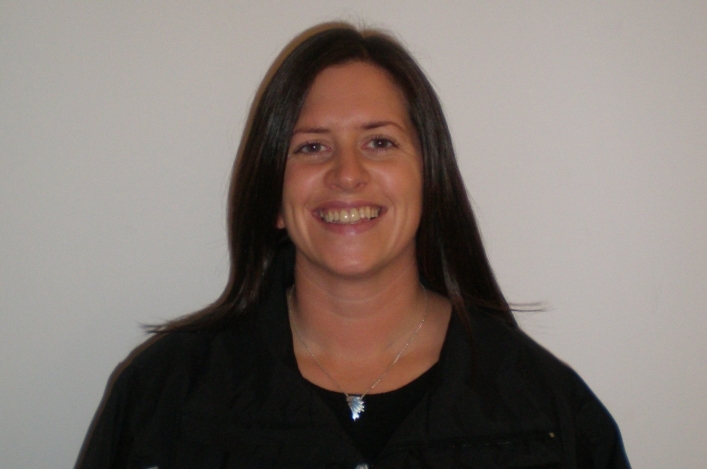 Following a successful secondment as Team Manager for the Commonwealth Games at Gold Coast 2018, Julie Mollison has now taken on a permanent role within the Performance Team at scottishathletics. This has left the Development Team with a vacant National Club Manager position. We are delighted to announce that we will be recruiting into this post to bring us back to our full complement of three National Club Managers, supported by our Head of Development, Colin Hutchison. Closing date for applications is Friday 10 August 2018.